You can obtain a detailed report of the activity and events of your server using the Microsoft Azure management console. 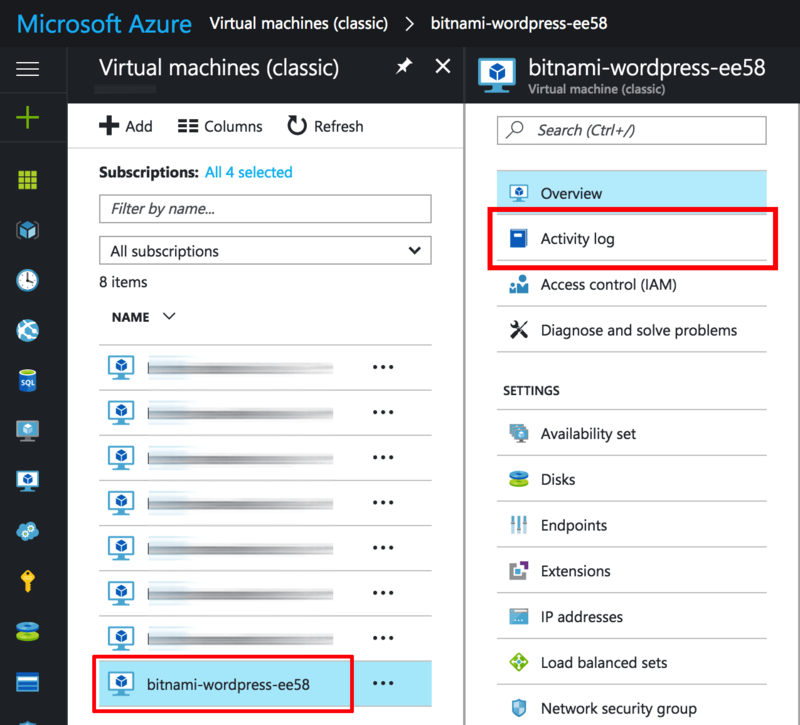 Log in to the Microsoft Azure management console. Navigate to the “Resource groups” menu and click on the resource group you want to check. In the resulting sub-menu, select the “Activity log” menu option. Adjust the appropriate timespan and apply the query. You will see a list of the resulting events. You can download that information as a .csv file.